The Statue of Liberty's arm, building laws that were meant to be broken, and oh hey is there a Super Bowl tie-in in here somewhere? Imagine that. But that's not all we have to feed your eyeballs this week. Check out the most beautiful items of the week or remain in suspense forever. 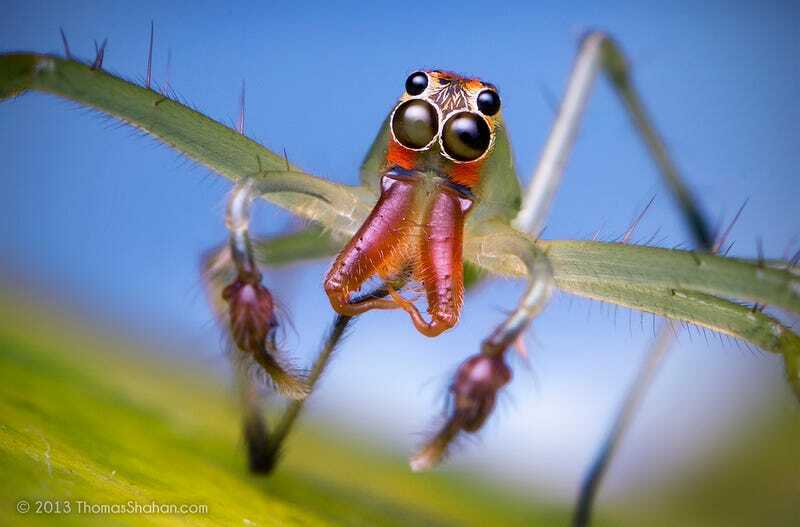 I can't stop looking at the extraordinary photos by Thomas Shahan, an Oregon-based artist and microphotographer who creates amazing portraits of arthropods, including these awesome jumping spiders. His beautiful monsters don't make me run in fear, but make me smile. Marc Donahue from PermaGrin Filmsturned his sights on the city for "I Left My Heart," an impressive timelapse that shows SF from all the best angles. I wish I could be 16 again to enroll in the futuristic Island School in Hong Kong, a 28,000-square-meter building that merges into the landscape. From the inside, it looks like a spaceship. From the outside, its structure seems to defy gravity. Science fiction is often charged with naïve technological optimism and historical amnesia. But for present-day Californians struggling with a wide range of environmental and social problems, science fiction might just provide the perspective we need to successfully pivot from the boom times of the twentieth century to the messy prospect of the century ahead. The Sochi 2014 Winter Olympics will start on February 6th, 2014. The Russian Empire has built a bunch of brand new arenas for the upcoming winter sports fiesta. This is our collection of the artistic-futuristic architecture of the Sochi Games, built from scratch in the past few years.